Log cabins are magical places. Remote and rustic, often surrounded by trees, they provide a cozy retreat from the stresses of daily life. Although early versions built by American colonists were drafty and uncomfortable, over the years the log cabin has become a symbol of American resilience in the rugged wilderness. These days, you’ll find many that were built lovingly by hand and even tailored to specific interests and activities. While they certainly aren’t fussy or pretentious, today’s log cabins are outfitted with the creature comforts sought by buyers who aren’t keen to hike to an outhouse when nature calls. They’re also further proof vacation homes aren’t just for one-percenters—everyday working folks can afford a retreat of their very own. 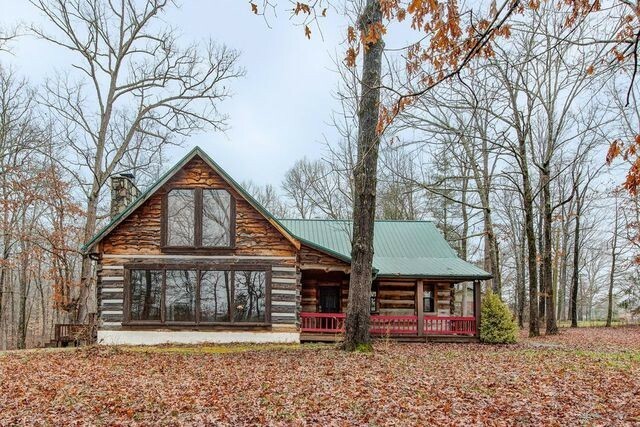 With affordability in mind, we chopped through the thicket of log cabin listings across America to find 10 cabins priced under $300,000. They’re sure to inspire you to pack a bag and head into the great outdoors. 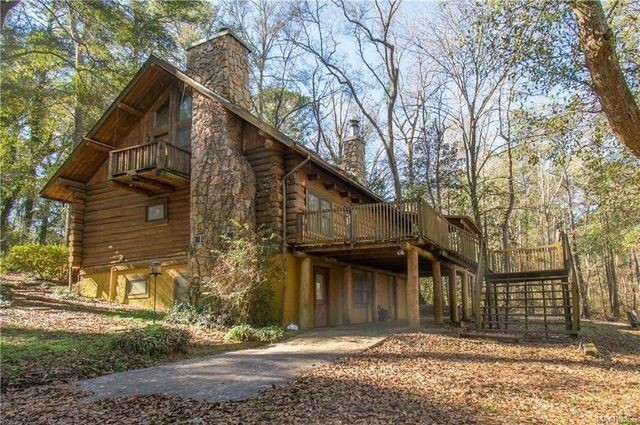 River view charmer: Built in 1950, this two-bedroom red log cabin sits on just under a half-acre in the woods. The property also includes a large shop and laundry room, one-car garage, wood shed, and a private deck overlooking a river. Cabin with amenities: You’ll find this two-bedroom cabin just across the road from the Coosawattee River. Built in 2000, it offers over 1,100 square feet of living space and is situated on a private 1.63-acre lot. If you decide to leave its cozy confines, there’s a recreation center just up the road with an indoor heated pool, fitness facility, and game room. 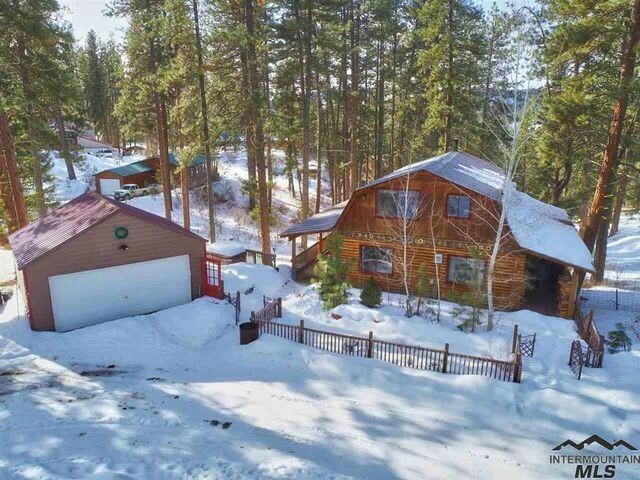 Gated in the pines: Located in a gated community less than an hour outside Boise, this cabin is situated on just over an acre of woods. Built in 1980, the four-bedroom cabin has a covered, wraparound deck on both the upper and lower levels. The community’s roads are maintained year-round and surrounded by pristine, public land for communing with nature. 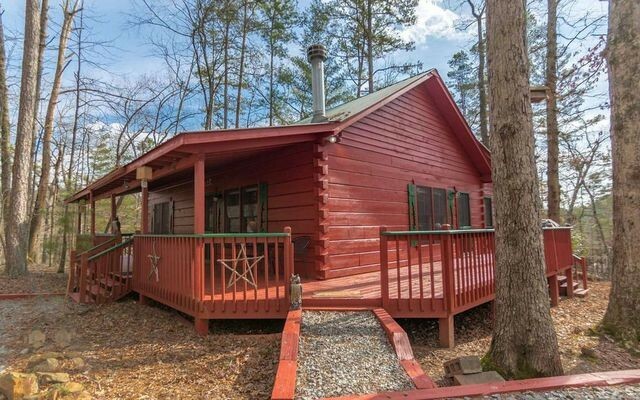 Wooded bliss: Built in 1982, this roomy cabin has two bedrooms and a loft as well as more than 2,400 square feet of living space. The open floor plan features a wood-burning fireplace, cathedral ceiling in the living room, a large kitchen with island, and tons of natural light. Outside, the home is surrounded by a large, level yard and has a charming front porch made for lounging. At one with nature: Completely modernized inside, this cabin from 1946 was built to exist in harmony with its spectacular surroundings. A cool one-bedroom cabin, it features vaulted ceilings, hardwood floors, custom doors, and a wood-burning fireplace. 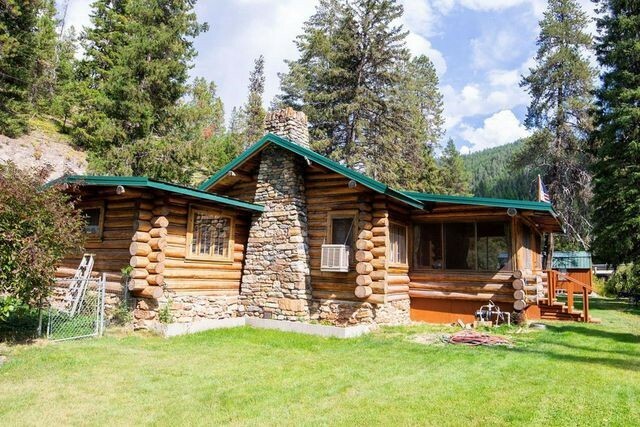 It sits on a lot just under a full acre that’s a short distance from the Lolo Hot Springs resort. Family fishing: Located on Miners Lake, this three-bedroom cabin boasts water views from inside the home. You can also enjoy lake views from the large deck out back. The 1-acre property also includes a 260-square foot log bunkhouse and 185 feet of shoreline. The Trezona Trail runs alongside the property and offers hiking, cross-country skiing, and access to snowmobile trails. 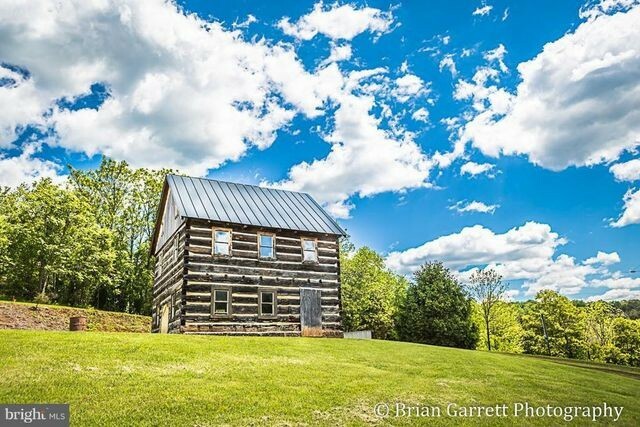 Old Rag Mountain retreat: Sitting atop a gentle hill, this vintage log cabin from the 1700s was imported from Pennsylvania in 2002. Following its journey, it was gently placed on a nearly 3-acre lot with views of Old Rag Mountain. Awaiting a buyer with a taste for history, It features a stone foundation and three floors with a total of 2,058 square feet of living space. 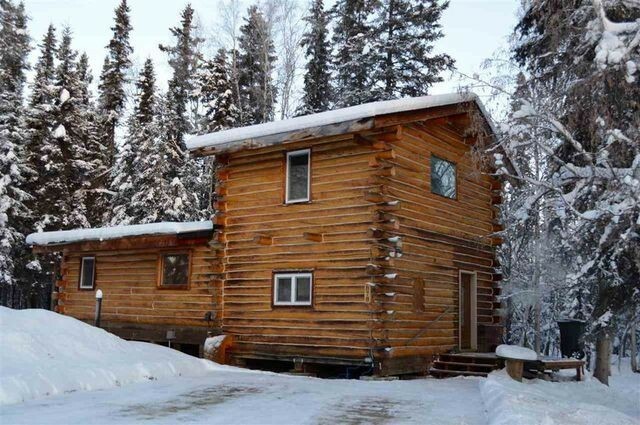 Sled dogs’ delight: Located just a quick walk away from the Alaska Dog Musher’s Association, this mahogany cabin sits on nearly an acre for your sled dogs to run and play. Built in 1982, the two-bedroom cabin is kept warm and cozy thanks to two Toyo stoves. 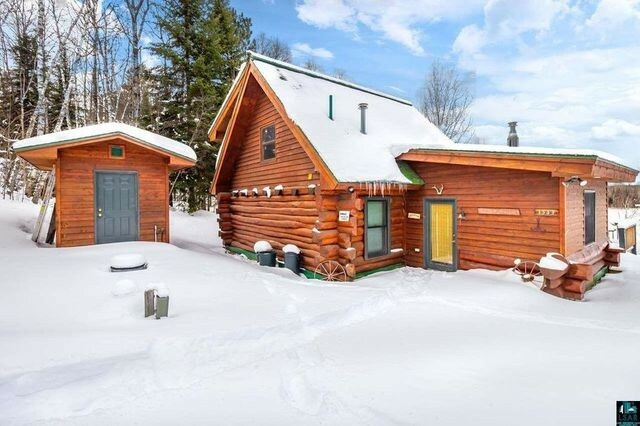 Grand log cabin living: Far from a little house in the woods, this six-bedroom cabin offers more than 3,300 square feet of living space. There’s a basement apartment with separate access as well as a large workshop. Built in 1979, the main house offers gorgeous views, a private balcony, skylights, two fireplaces, a great mezzanine, and an oversized deck for entertaining. 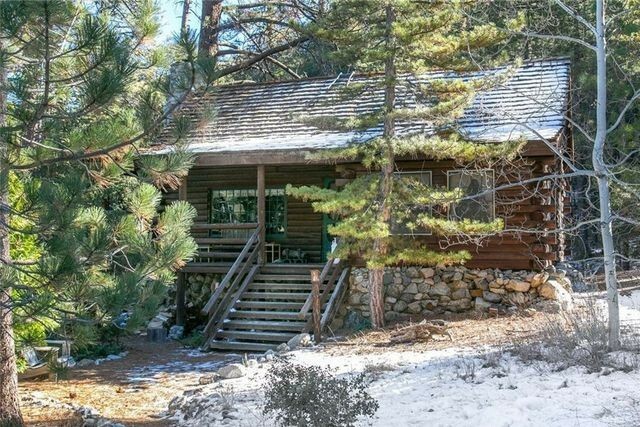 Forest charmer: Recently updated, this 900-square-foot cabin from 1979 is situated on a quarter-acre and surrounded with forest views. The roof of the two-bedroom abode has the authentic look of cedar shake, but was built with a fiberglass underlay to protect the home from fire. 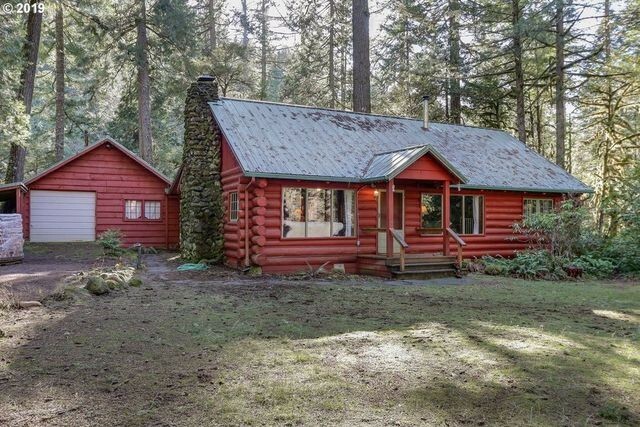 The post Into the Woods: We Found 10 Lovely Log Cabins Under $300K appeared first on Real Estate News & Insights | realtor.com®.